*Was 2013 the year television truly lapped the movie business? While the cineplexes were crowded with an increasingly bland state of empty blockbusters (is anyone really excited for The Hobbit, after all?) and poorly-constructed young adult thrillers, the American television industry has given us an entire slate of excellent, intriguing programs. 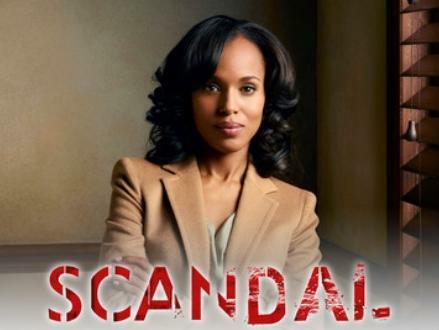 A guaranteed viral hit just about every time it’s on the air (seriously, try to go on Twitter once the airdate rolls around), “Scandal” has boosted Kerry Washington into very deserved superstar status and delivers increasingly soapy plotlines on a presidential scale. The show gets a ton of bonus points for its sterling supporting cast – especially Tony Goldwyn’s turn as the President. It’s our favorite delicious weekly treat. If there was a more shocking moment in the history of television than the rivers-of-blood “Red Wedding” on this season of “Game of Thrones,” we haven’t seen it yet. It was an astonishingly insane moment in a series full of them – a fantasy show that’s transcended its genre to become one of the more entertaining, twisty programs on the air. Is it April yet? This FX anthology found its footing again with a delightfully crazy third season entitled “Coven,” helped out by the additions of Gabourey Sidobe and Angela Bassett to an already-loaded cast. Happily, it looks like we’ll see Bassett (and welcomed co-star Kathy Bates) back for the fourth installment. Netflix bet big on their first real high-profile drama series … and boy, did it pay off. The first season of the David Fincher-directed, Kevin Spacey-starring “House of Cards” was terrific, chewy drama, emboldened by a wonderfully snakelike Spacey performance as scheming congressman Frank Underwood and a star-making one by Corey Stoll, who found all sorts of depth in his portrayal of a hard-living Pennsylvania congressman. Add in Robin Wright’s icy role as Underwood’s just-as-treacherous wife, and you’ve got television gold. A fitting end to one of the greatest television shows of all time. Although the program arguably peaked in the episodes directly before the finale – the bloody desert shootout was a gripping hour of television – and the final episode wrapped things up a little too tidily, the final season still stands as an astonishing goodbye to this remarkable show. If this is how the greatest era in American TV drama ends, it went out on a truly high note.